For many fans, Dallas Green can do no wrong. After all, Alexisonfire is a cult favorite for many who still mourn the breakup of that band. 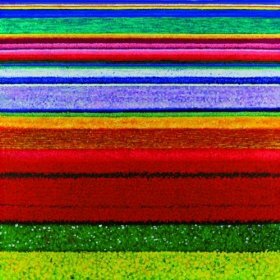 While much different than his most famous group, City and Colour’s Little Hell album is another perfect piece of work from a man who keeps proving he can’t do anything wrong. “Grand Optimist” is mature and insightful. The track sounds a bit like an America track in the sense that it feels like there is a journey attached to the song. After all, the whole “man and his guitar” thing has been done numerous times. That being said, Green is able to infuse a good deal of originality into the mix on this track combining elements of soul with honesty and light chimes. By the end of the song, listeners end somewhere different emotionally than where they started. The effect is incredible. The album’s title track is quiet. In fact, it is so quiet that you might find yourself upping the volume. Be sure to do so though– you won’t want to miss Green’s insightful lyrics waxing over whether or not he can be everything the song’s subject needs. “Sorrowing Man” is another standout on the album, featuring a good folk intro leading to a powerful chorus of “Oh how you have lost your way.” As Green sings on, you can feel how the Sorrowing Man has, in fact, lost his way. There’s something powerful and provoking about this album. While most good music inspires emotion, every song on this album inspires a different emotion, place, or thing. You feel like you are the Sorrowing Man who has lost his way. You feel like you might not be everything someone needs. You feel every emotion on this disc whether or not it fits your life. The album is sheer brilliance. Thanks again, Mr. Green for doing no wrong!